Buy This Wholesale Sign Supply Online Now! This Sign Making Equipment is an Inexpensive Way to Advertise! Find Sign Making Equipment for Vinyl Banners Here! Snap rails open easily and quickly. Lightweight aluminum holds heavy and long banners. 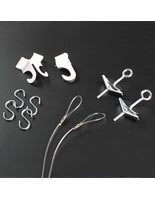 Slide clear plastic eyelets to where you need. 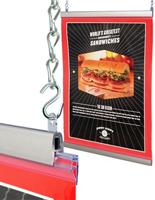 This banner holder, sign supply is crafted of durable aluminum. The sleek look presents posters and banners in an eye-catching manner. Snap open rails make changing displays fast. 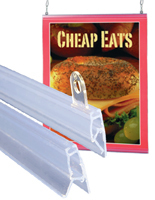 This ready to ship sign supply on sale wholesale features a top and bottom banner rail. The top rail is made with sliding eyelets to make it easy to find a spot to hang the display from the ceiling. The bottom rail provides the weight needed to ensure the display remains taut and easy to see. Use this sign supply in your business for a display that everyone will notice! 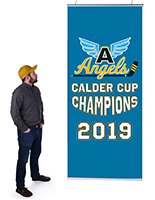 This banner holder is a perfect sign supply for a retail store, restaurant, hotel, library, school, and community building. 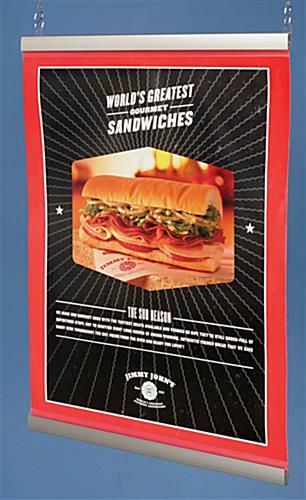 The sign supply 72" wide and will support large poster or banner graphics. 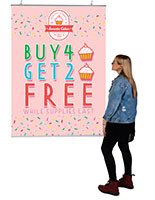 Poster rails, banner grippers, and other sign supplies are an attractive way to promote daily specials, events, monthly spotlights, and more! 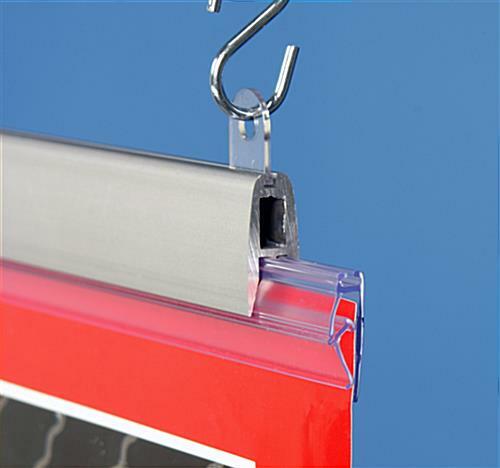 These banner holders, sign supplies feature snap open rails. Just snap the rails open to insert graphics and snap closed to ensure they remain securely in place. These metal sign supplies wholesale priced, create alluring displays by themselves or grouped together! Buy sign supplies online now! 72.0" x 1.8" x 0.5"